BLS Medical carries a number of National and International registrations and accreditation with a number of accreditation bodies. We are able to offer an international standard of training and our certificates are accepted worldwide adding value to the course that you have attended. 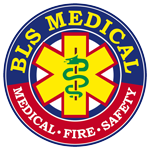 Where BLS Medical does not have accreditation directly, we have partnered with Training Providers that we have worked alongside for a number of years. We are able to offer training in the Traditional classroom setting and have pioneered the use of Blended Training for First Aid in South Africa. We can offer a number of our courses online, saving you time and therefore money and productivity! Blended learning is a term increasingly used to describe the way e-learning is being combined with traditional classroom methods and independent study to create a new, hybrid teaching methodology. It represents a much greater change in basic technique than simply adding computers to classrooms; it represents, in many cases, a fundamental change in the way teachers and students approach the learning experience. The courses have been designed to ensure a logical flow of content through the various teaching activities – audio-visual, practical exercises and handbook theory. Open/ Public courses are scheduled in advance and are held at one of our training venues around the country – Click on the Calendar for latest course schedule. Closed / In-House courses can be arranged at a location, date and time to suit you, with a minimum number of delegates required (ask us as it various from center to center and the course being conducted). If your organisation has a specific area of training that is not included in our general courses, or you require a more in-depth session, then we can accommodate you by providing additional training in that particular area/ subject. Travel costs. This may be calculated at a nominal rate, if you are located more than 30 Km from our training venue. Click on the Calendar below for the course schedule. Click on the category below to get more information on a particular course.